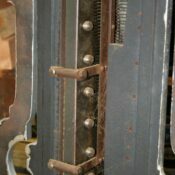 What a project we under took here! 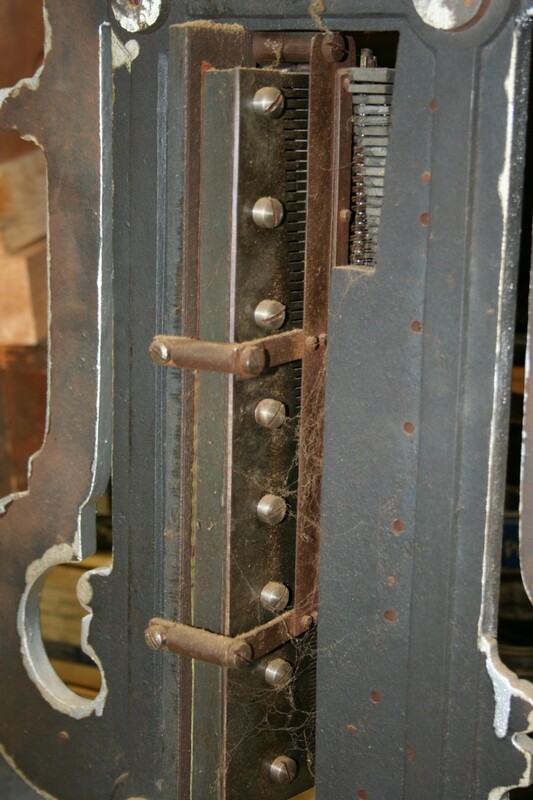 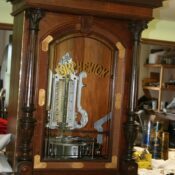 It came from the Mid West and was in pretty tough shape and the owner really wants it done correctly as it appears someone had done work on it at one time and did not stay with the original. 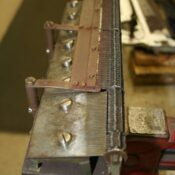 The first thing we found were some very bad dampers (see pictures) and as nobody has these we had to make our own and with some help from our friends in Texas, we came up with a solution and made a whole new set that was from the same model but a bit different then what was in this unit. 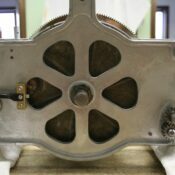 All of which were made here in Vermont. 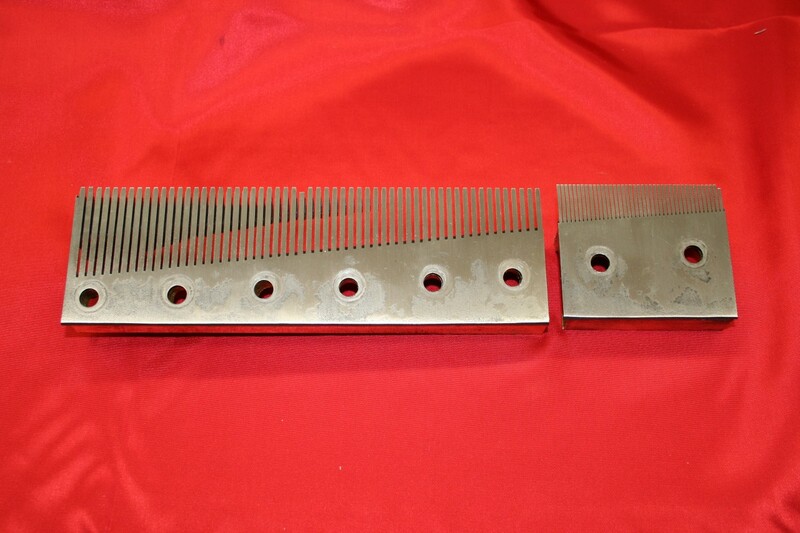 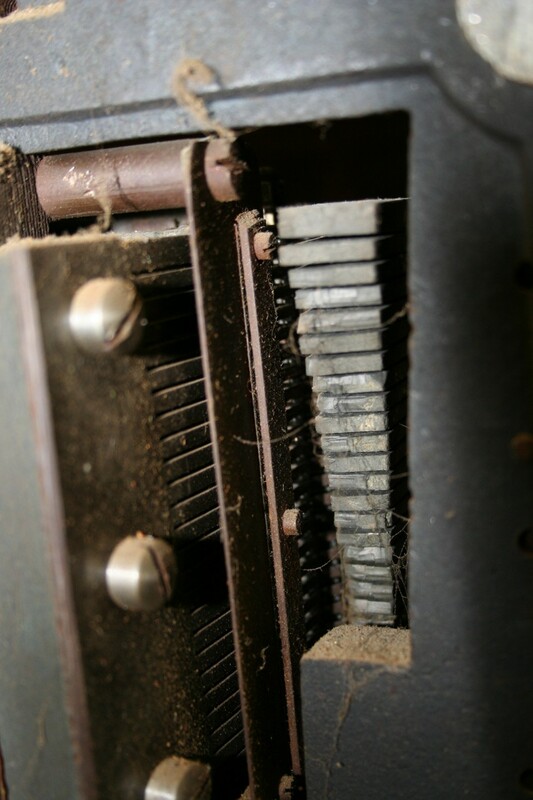 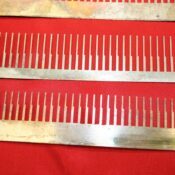 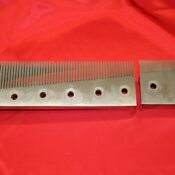 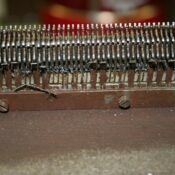 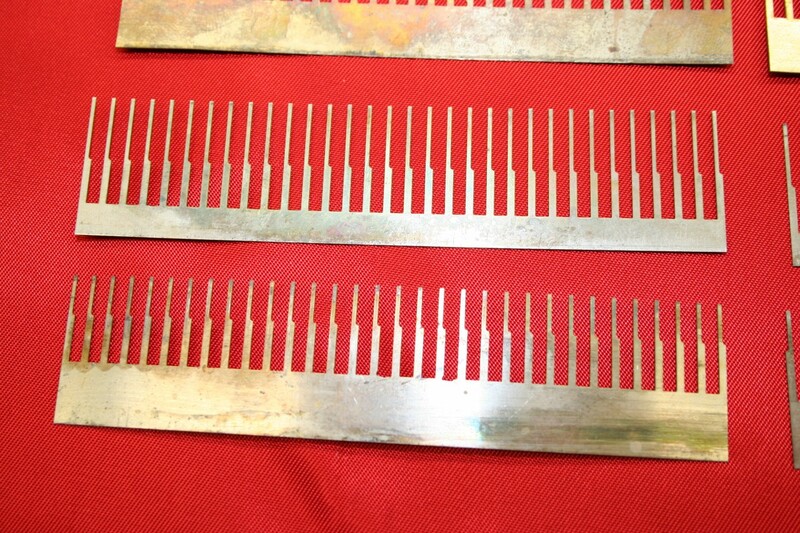 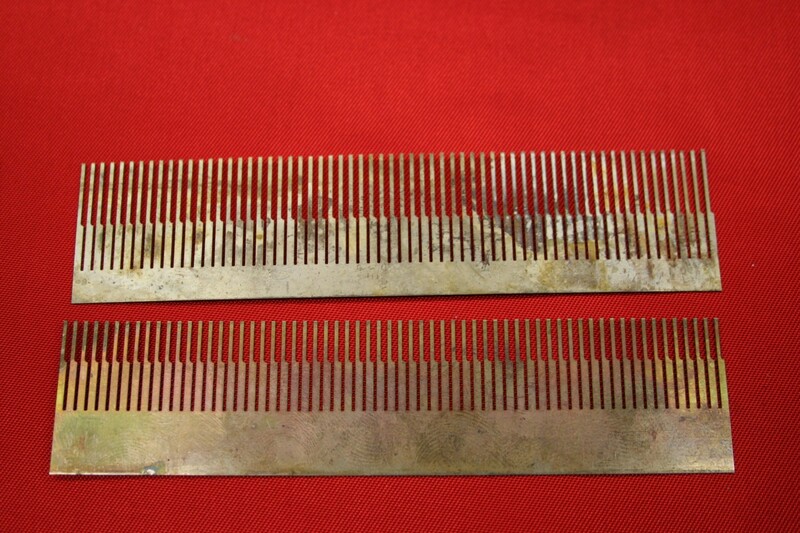 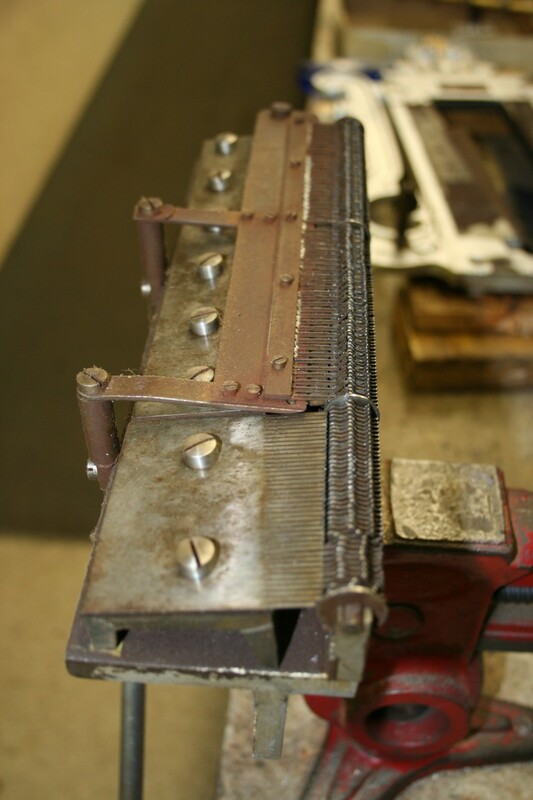 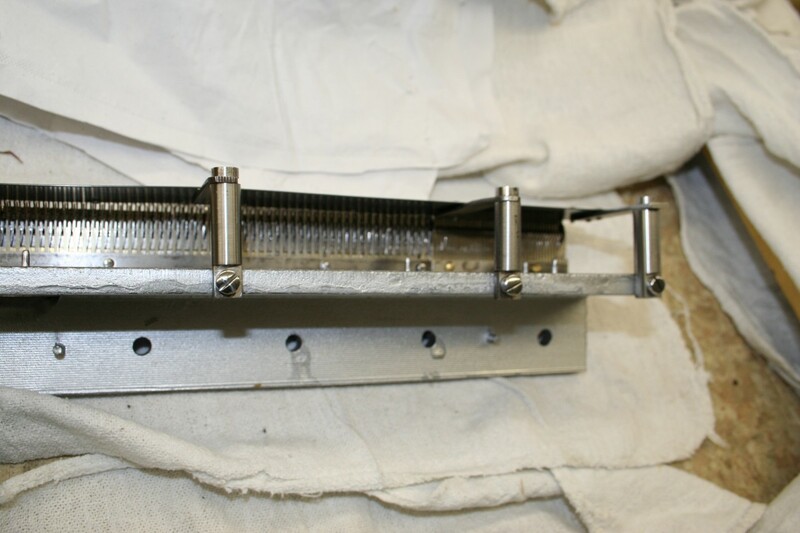 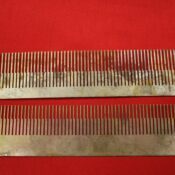 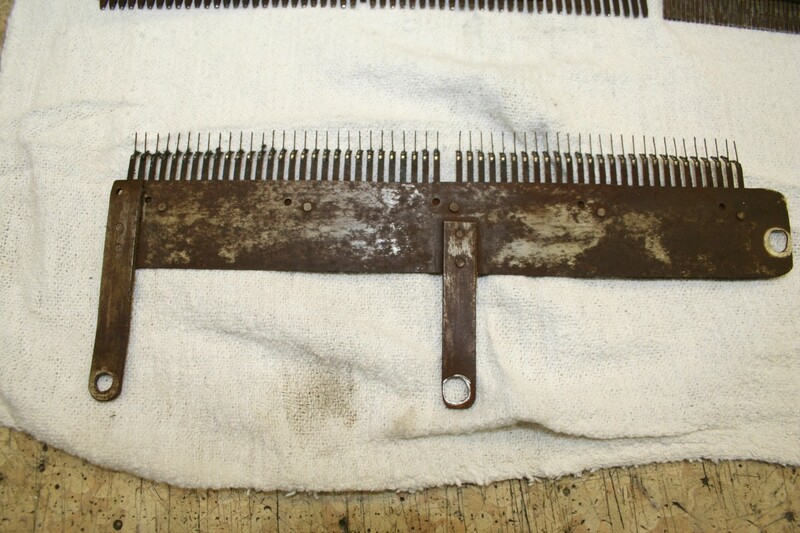 The musical combs were rusted badly the leads were really oxidized and the combs were worn just as bad, so we had to sand the rust and remove oxidized leads out and hone the tips of each tooth and then restore the tuning from scratch. 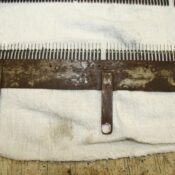 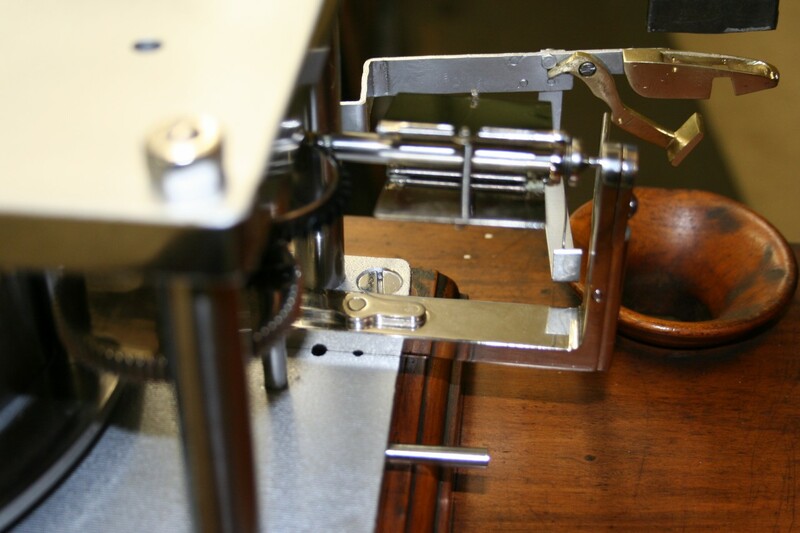 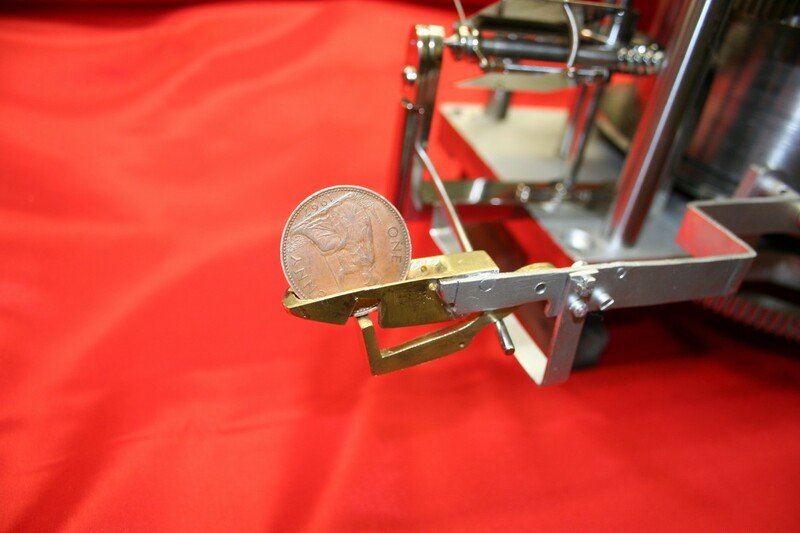 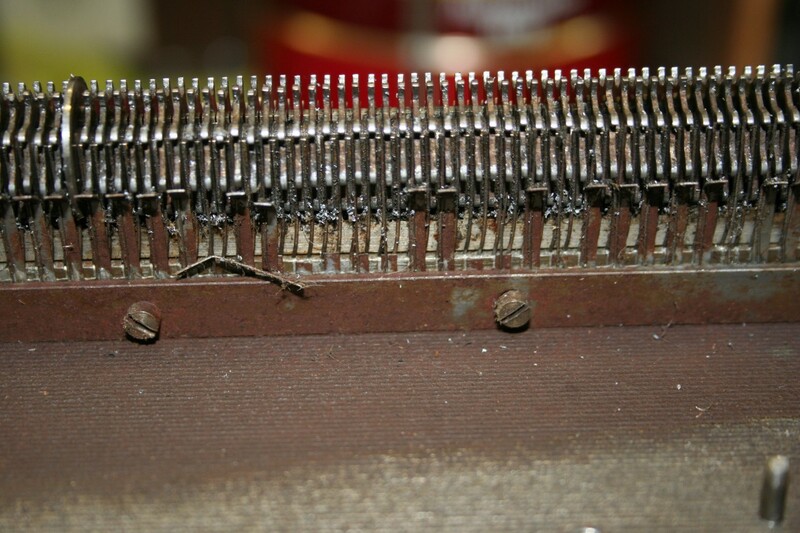 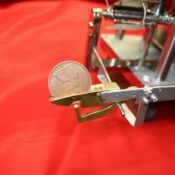 When you do this it also changes how the combs are set up on the bedplate so more man hours! 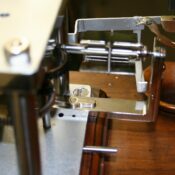 It was a coin-op but did not have all the parts so we had to use pictures from the Bower’s book of Music boxes (our music box bible). 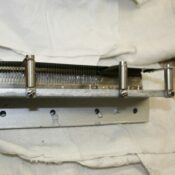 Many of the parts we hand made and we learned more as went on on how this unit worked. 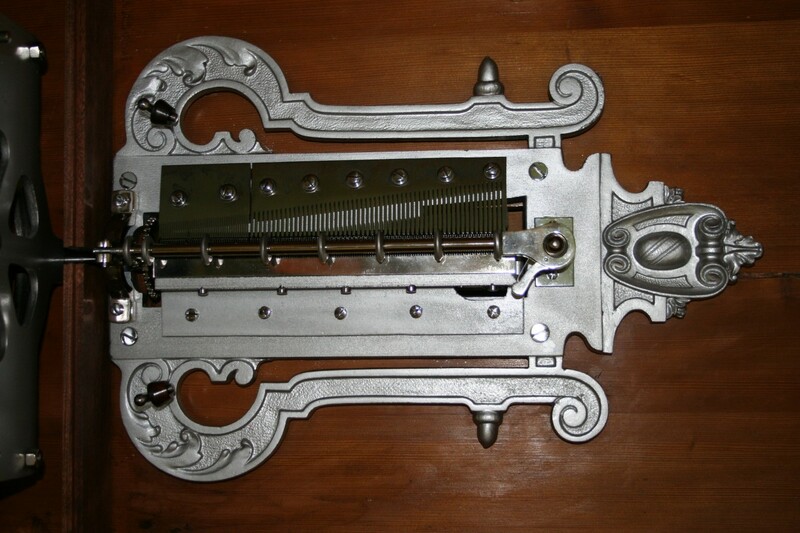 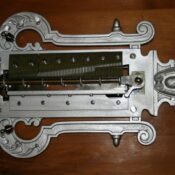 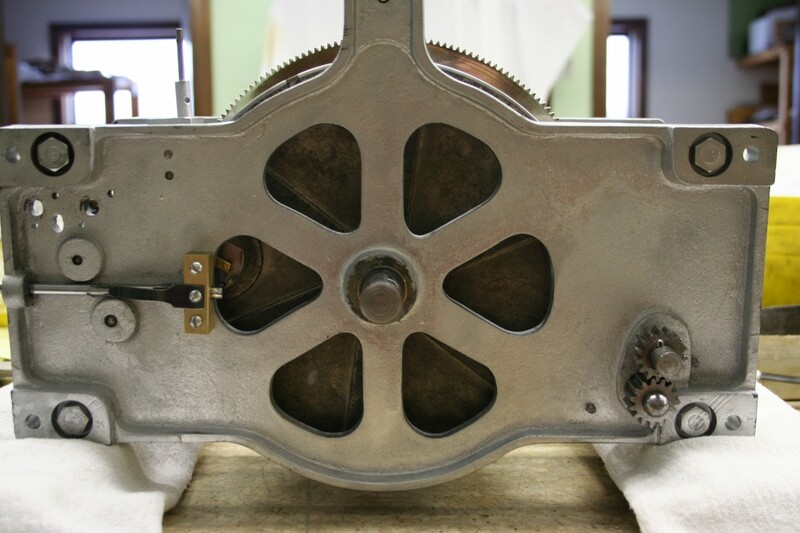 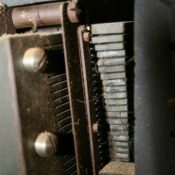 There are a lot parts on this music box as you can see from the pictures and it was certainly an adventure working on this unit and the final out come was terrific.